Netflix's House Of Cards has made Emmy history with a top drama series nomination, the first time that US television's top awards have recognised a programme delivered online as equal in quality to the best that TV has to offer. The most Emmy nominations, 17, went to American Horror Story: Asylum. Close behind was Game Of Thrones with 16 nods, while Saturday Night Live and the Liberace biopic Behind The Candelabra earned 15 nominations each, including nods for stars Michael Douglas and Matt Damon. 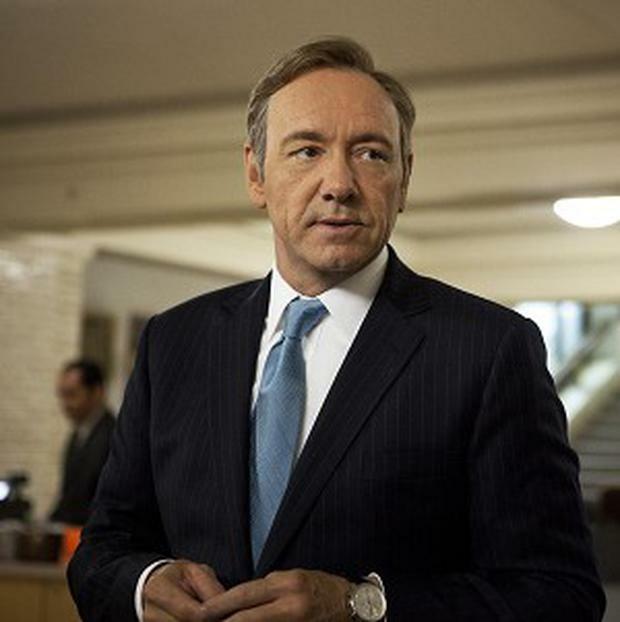 House Of Cards stars Kevin Spacey and Robin Wright received acting bids, along with a number of other primarily big-screen actors who have migrated to TV for powerhouse projects, such as Douglas and Damon. Another Netflix series, Arrested Development, did not earn a best comedy series nod but scored three nominations, including one for star Jason Bateman. Joining House Of Cards and Game Of Thrones in the best drama series category are Breaking Bad, Downton Abbey, Mad Men and last year's winner, Homeland. The major broadcast networks were shut out of the prestigious category, a repeat of last year and a particular blow with the entry of Netflix's streamed drama. In the comedy series category, nominees are The Big Bang Theory, Girls, Louie, Modern Family, Veep and 30 Rock, recognised for its final season. Another outgoing comedy, The Office, did not receive a best series nod.